The Vow by Kim and Krickitt Carpenter is the novel that the movie starring Rachel McAdams and Channing Tatum is based on. This is an amazing story of enduring love and commitment. Reading the real novel really can put life into perspective. After a unique meeting which I hear is different from the movie Kim and Krickitt marry only to be in a horrific traffic accident just barely 3 months after being married. Krickitt’s head injuries left her as a miracle to be alive with no memory of the last eighteen months which including meeting and marry Kim. Krickitt immediately remembered her relationship with God and that lead her and Kim both to try to reconnect again as husband and wife. This was a hard road not as easy as their first meeting and marriage. They are a testament of God’ love and keeping a vow you make before God. A short quick read! Now I can’t wait to see the movie. Yesterday we spent the day with Derwin’s cousin, Kevin Long and his family, from Miami, Florida. 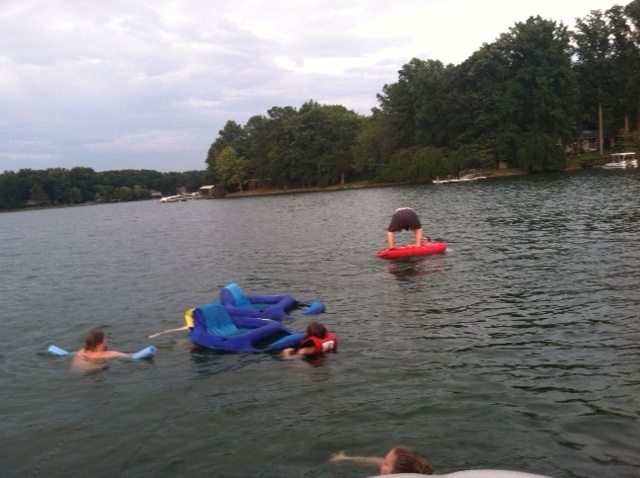 They are vacationing up this way and took this opportunity to come by and spend the day with us on the pontoon. Kevin and his wife Vickie have 5 children between the two of them, Marissa, Zachary, Matthew, Benjamin, Elise. I hope I spelled them all close to right. I think they had a great time. 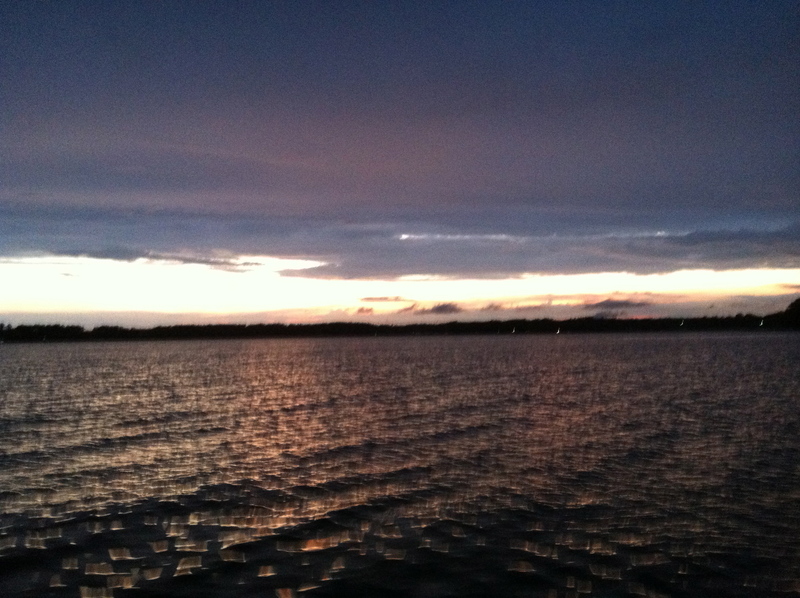 Lots of tubing, a little rain, lots of wind, but a beautiful sunset ended the day. 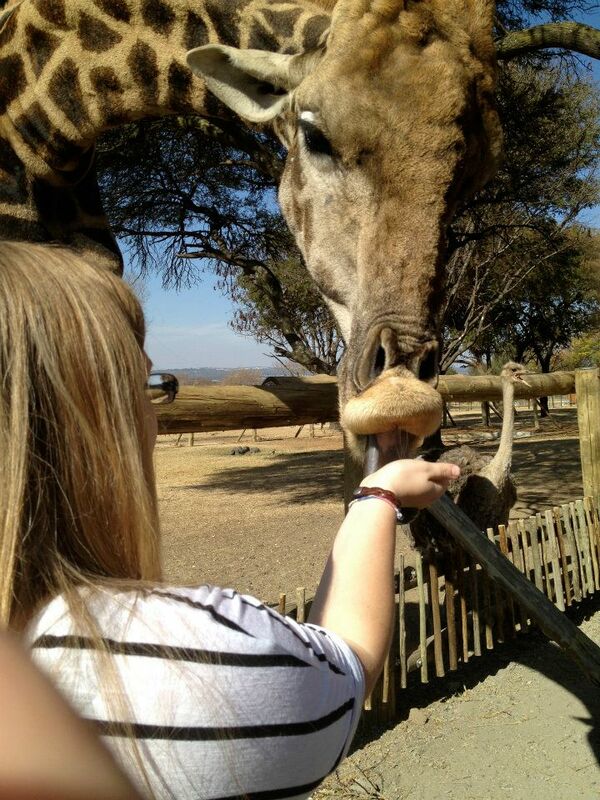 Here are some pictures…. 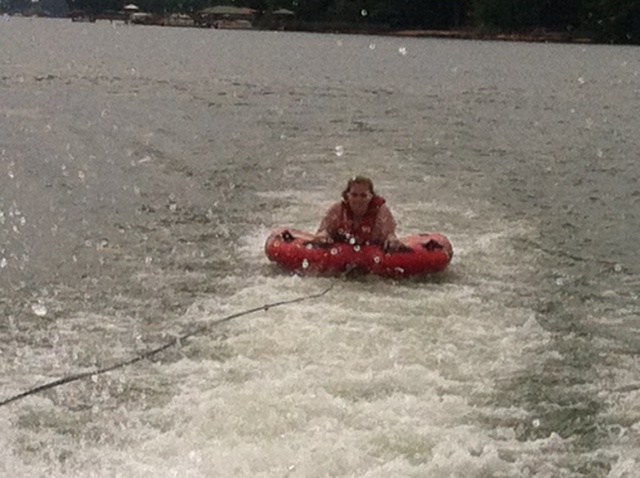 Hannah even had some fun on the tube…. The day ended with a gorgeous sunset that lite up the sky for a really long time even after the sun went down. 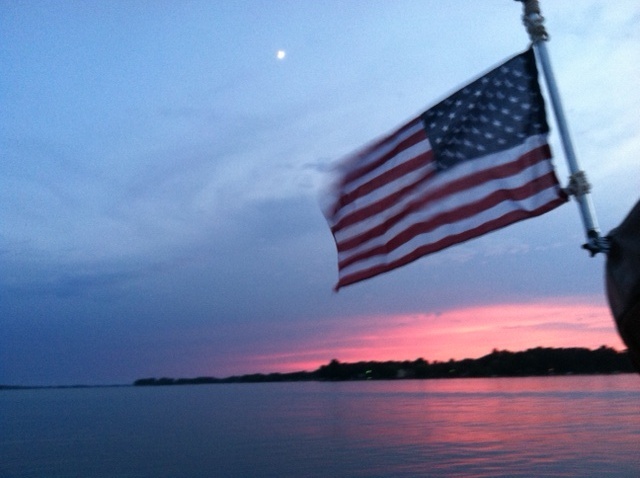 Notice the moon in the picture with the flag. Here is wishing Kevin and his family a happy vacation as they head back up into the mountains. Big Happy Birthday to Vickie who will be celebrating Thursday July 26th!!! 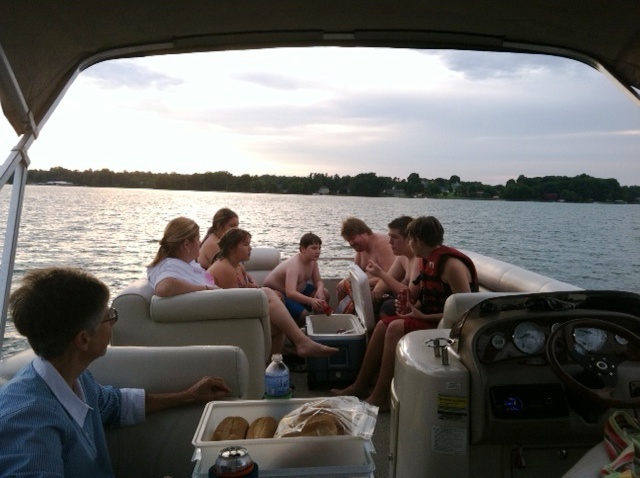 Hope you guys join us again soon on the Pontoon! 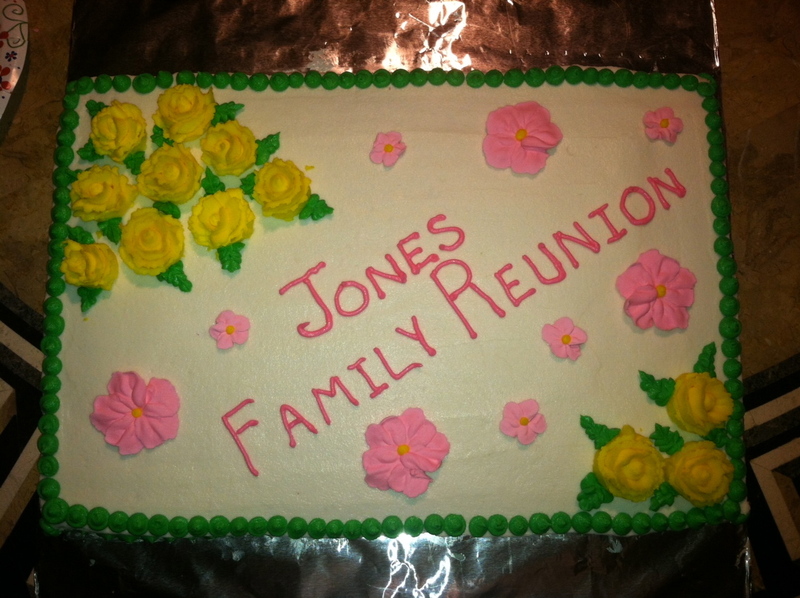 Jesse, Hannah, and I spent the afternoon at the Jones Family Reunion. Above is the picture of the cake that Jesse worked so hard to make. Not only was it beautiful it was delicious all in one. It was nice to get see everyone many that I have not seen in years. We dropped by afterwards to visit my Aunt Anita who is 90 and looks great! She was just beaming when we walked in. So many good stories there. 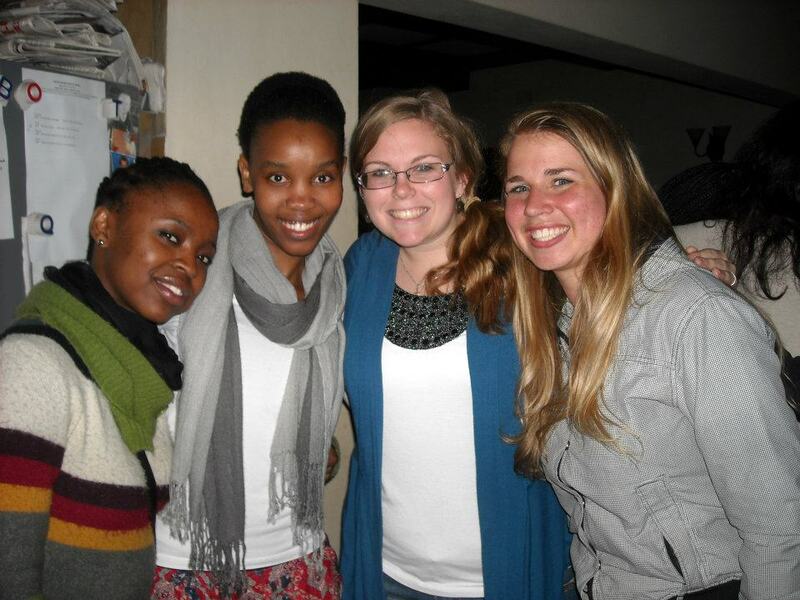 Hannah did her first South Africa presentation at the reunion so I finally go to hear some more stories and see lots of pictures. Just happened to find this link open on my laptop so I will share. This is a long video that she made for the group but if you have the time you can have a peak at her two months. 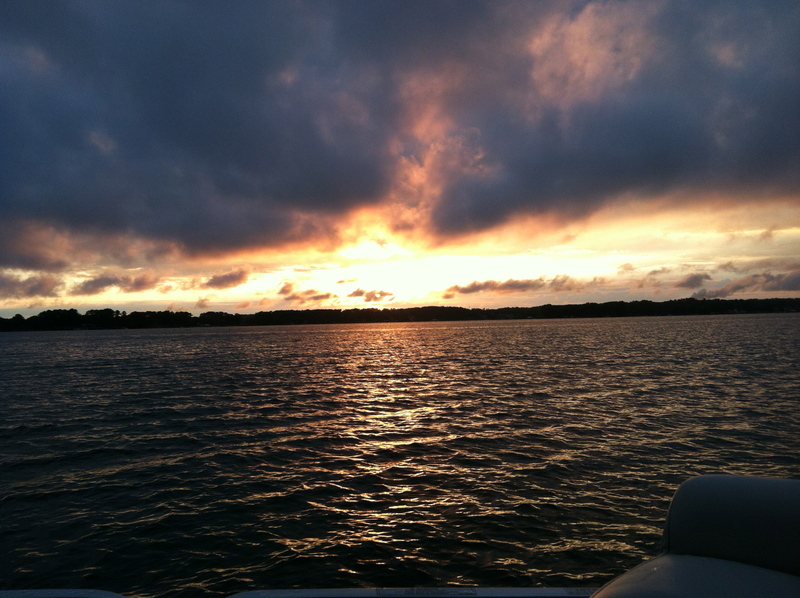 After all the rain and craziness of the week, Derwin and I decided that the rain would hold for us to venture out to the boat and watch the sunset. We were, of course, alone on the lake as very few were out with the risk of storms about. With all the clouds it was a beautiful sunset. A great way to end the week with a bottle of wine and just enjoying the lake and each other. As we listen to some really good music we always have to listen to Pontoon these days by Little Big Town. This is our new theme song. Derwin’s cousin Kelley in Florida does not like this song so we decided to make a little video just for her. If you are reading this here is our video production from the night. Just finished reading this quick read thanks to Felicia Davis! Since it is very adult I decided to post it here and not on my school book blog. This novel is about a pact between three girls to get pregnant as seniors in high school. All three are great students and have never been in any real trouble. What they find is they turn their parents world’s upside down in a small town in Maine. One parent, Susan, is basically a single mother and very independent. She is also the principal of the local high school and she becomes the town scapegoat. The trying tale is a page turner as I rushed to find out how this town would treat Susan and the other girls and the important lessons these three girls would learn about their choice to be mothers at seventeen. It is hard to believe that the end of July is almost here. After the whirlwind of the last two weeks, we are trying to settle into a routine. 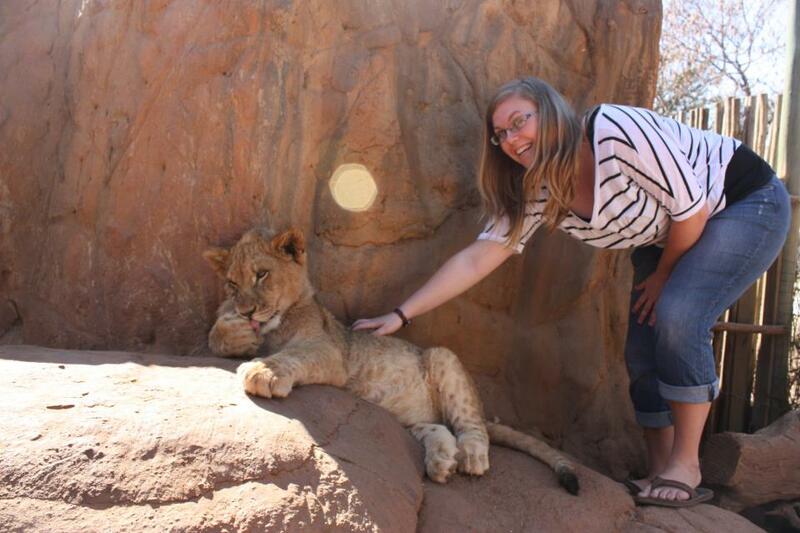 Hannah is healing and hopes to be eating again soon, but did successfully acquire a job for the coming school year. She is going to be an after school nanny and is really excited about it. Jesse is playing her golf and preparing for a mission trip next week with St. Mark Lutheran Church Youth Group to Georgia. This trip includes a Braves game and Six Flags. I say what a mission trip but I know all the kids will have a great time and will be excited about the trips at the end of the week after they have worked hard. Derwin is working as hard as ever as the economy and some insurance changes of late have really made it hard for him to keep his head above water but he loves it! Spend the morning working on Summer Institute class for Mooresville School teachers and actually starting to get excited about a new school year, but still do not want the summer to slip away so fast. Slow Down! Hoping Next week will bring a little slow down in my “our” life. 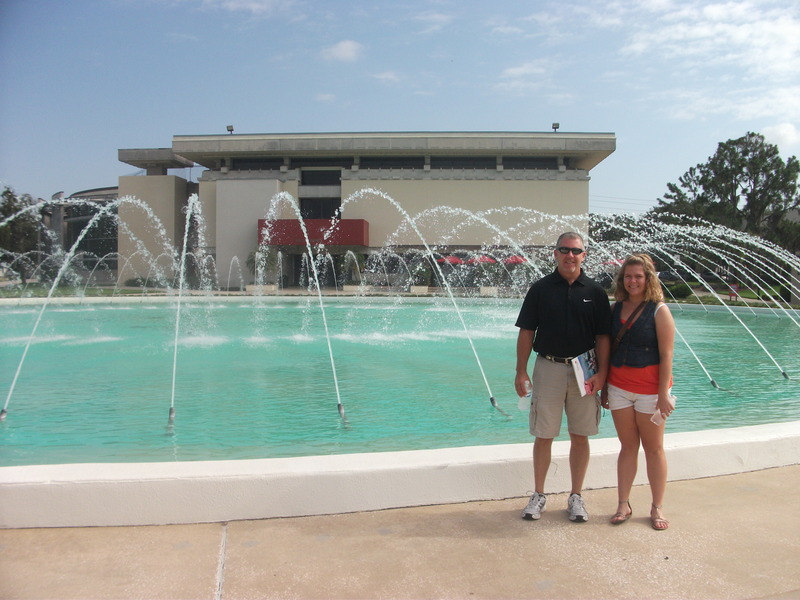 Florida Southern College “Home of the Mocs” (the snake not the shoe). 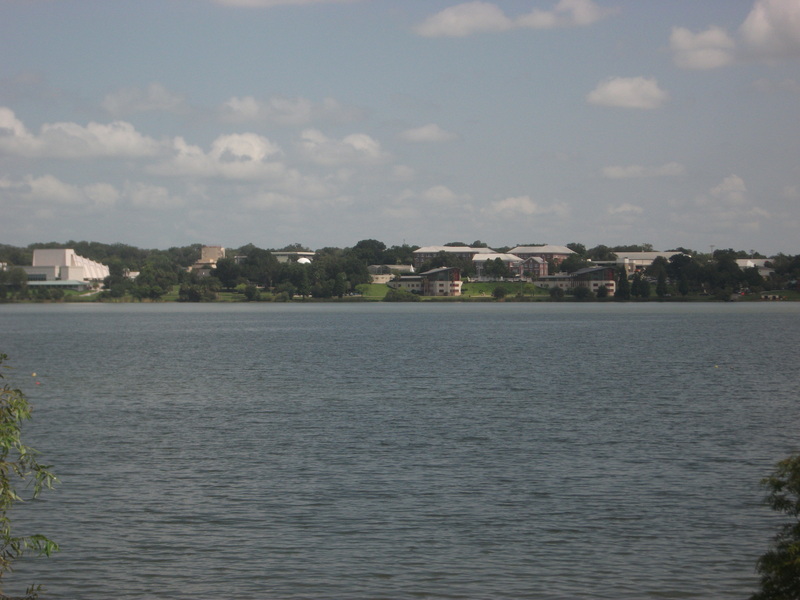 This awesome view is of the campus which sits along one side of Lake Hollingsworth. This is a stunning place which shows why it is the #1 most beautiful campus in the country. I am going to have a lot of pics because many buildings on this campus were designed by Frank Lloyd Wright and I want to share a few. We enjoyed this visit and Jesse is now really torn. 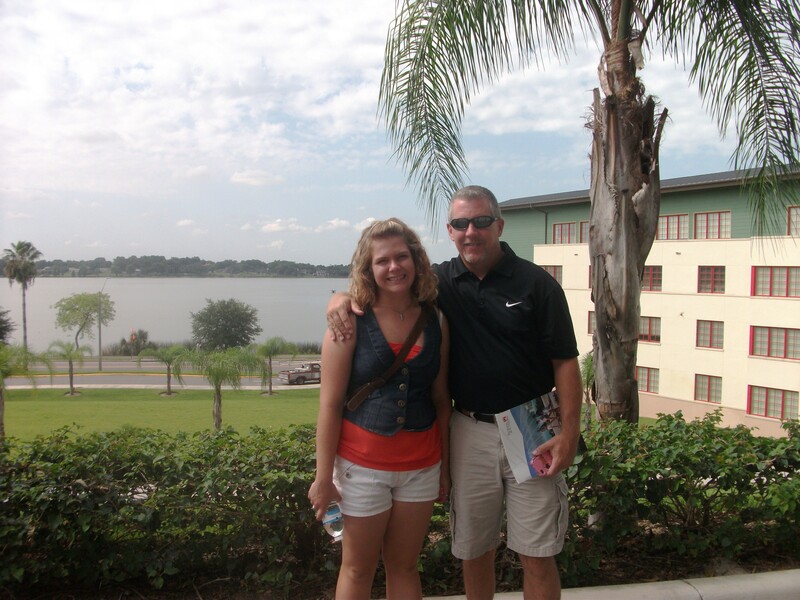 She loved this campus but right now has no golf contacts here. She is just unsure exactly where she stand. It is so much to think about. Let me share the beauty of this campus. This photo is of Jesse and Derwin in front of the Water Dome. 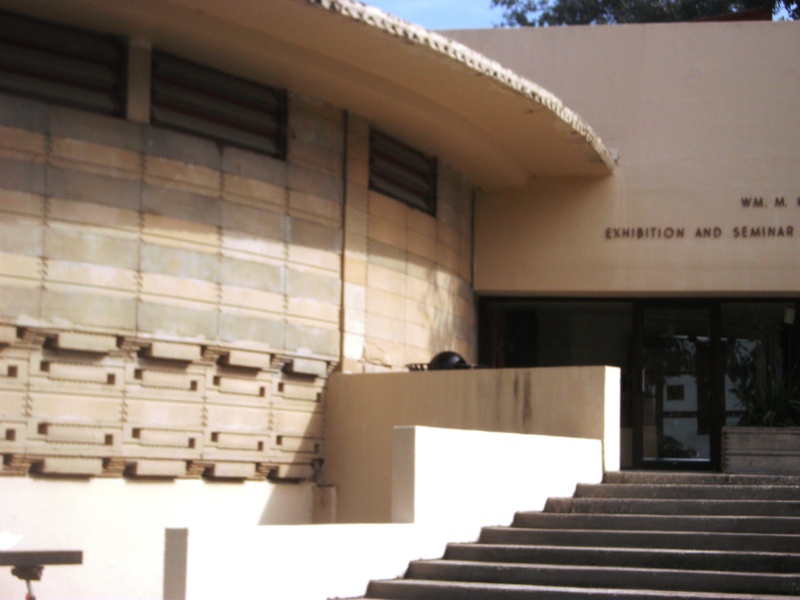 Frank Lloyd Wright designed this piece but the technology was not available until years later to create the dome. It is gorgeous and is located in front of the new library. It is a $500 fine if students are caught in the fountain. Only as a senior are they allowed – I said no fun! This new library is really not that new but the old one was another building designed by Frank Lloyd Wright….. Another interesting piece of architecture is the covered walkways also designed by Frank Lloyd Wright….. As you can see it is really beautiful and Jesse has some decisions to make. Last pic of Jesse and Derwin with a dorm and Lake Hollingsworth in background. 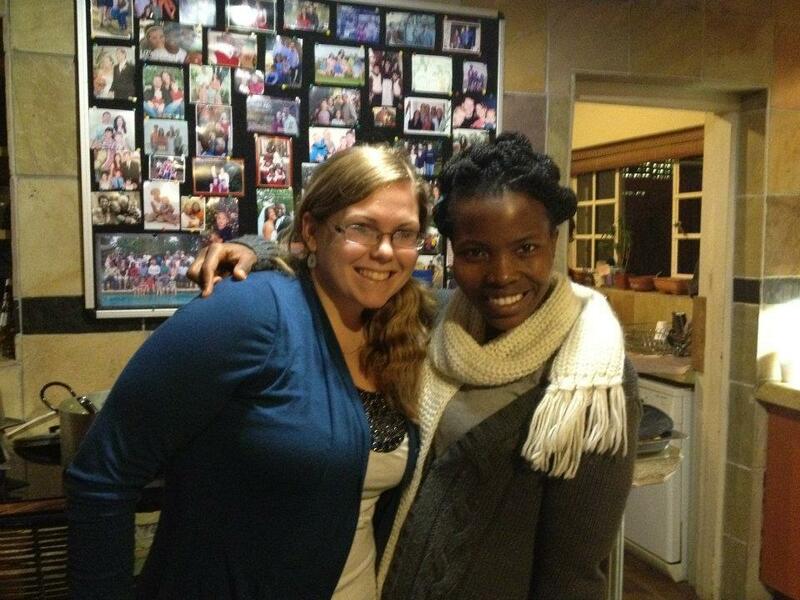 Next post will be about Hannah as she flew home today!!! 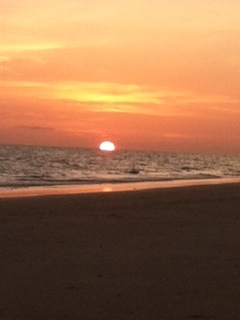 We enjoyed a great evening and a bottle wine on the beach watching the sunset over the Gulf of Mexico. Derwin and Jesse had not witnessed one before and you know how we love a sunset! It was nice to just kick back and relax after all the school visits and really talk to Jesse about what she wants and make her really think about everything! It was also awesome to talk to Hannah as she finally made it into the United States and had phone access again and keep tabs with her as she hopped flights to Orlando where she was surprised by her boyfriend Aldo. Wish I could have seen her face when she saw him in the airport, but I hope to see her Monday! 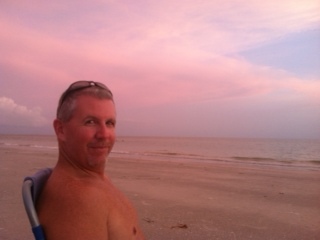 One more sunset picture of my sweet husband who made this weekend trip for my birthday present so I could stick my toes in the sand. Thank you Babe! I am headed out to sit on the beach, under an umbrella, read a book, and drink a few beers for my birthday! 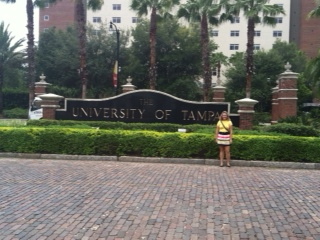 All I can say is this is a beautiful campus in the heart of downtown Tampa. Aunt Bev’s office building is just across the river. Plant Hall is the one of the most beautiful buildings I have seen. 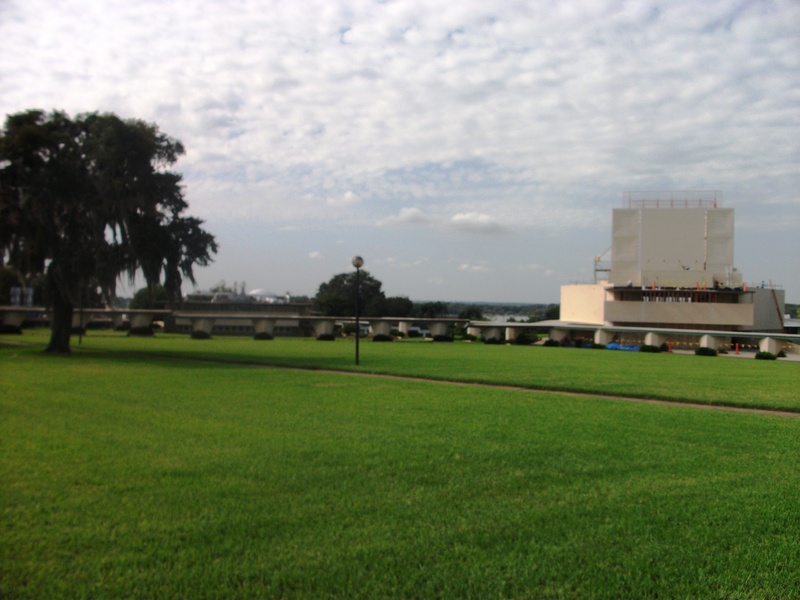 It is hard to describe what you feel standing on the porch looking out at the river and knowing this building at one time was one of the most expensive and as Derwin says “Swanky” places in town. It is just beautiful and classes are held in the building even today for Freshmen. The campus was compact yet not too small. The city gave it a big feel. I think Jesse was really in Heaven and really could see herself here. We met the coach today and she was so positive and so encouraging and so into Jesse. She told Jesse commit and you are on my team! Jesse loved the fact that she could play golf for free year round. Such a struggle to keep her on the golf course because every time she goes to practice it cost money. range balls, nine holes, eighteen holes it all cost. 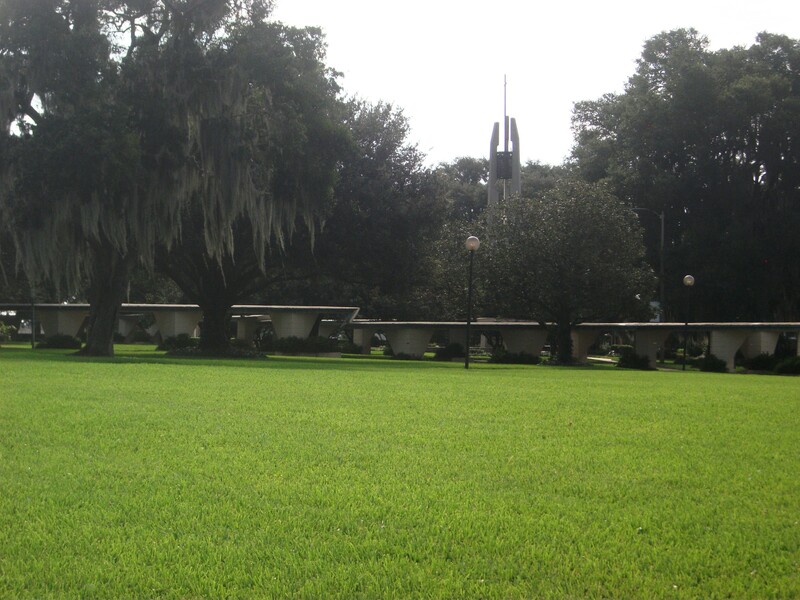 She loved the fact that golf was free and year round here in Florida and especially at UT! I feel here becoming a Spartan and as I sat on the beach tonight and watched the sunset I was jealous that she could do this anytime just 30 minutes away from the beach or less. 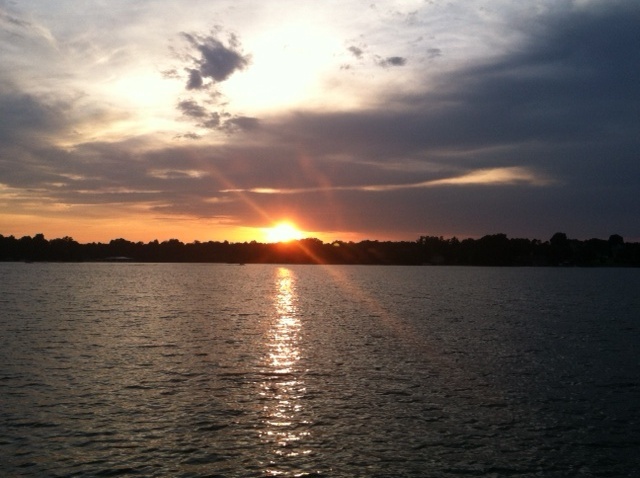 Check out the sunset on my blog it is up next…..